The article below will guide you to put YouTube videos on your iPod, iPod touch, iPod nano, and iPhone with ImTOO YouTube to iPod Converter for Mac step by step. 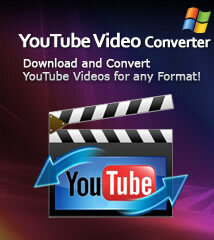 At first, download, install and launch ImTOO YouTube to iPod Converter for Mac. 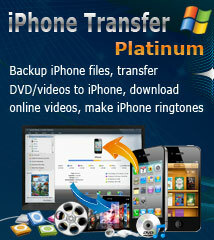 Open Safari browser, visit www.youtube.com and browse YouTube videos. Tip: You can also drag and drop the video URL directly from YouTube webpage to the main window or to Drop Zone to create a new task. Destination: Click "Browse" button to select a folder for saving the output YouTube videos. Click "Start" button on the toolbar to start the task. Click "Browse videos" button on the toolbar or select "Tools > Browser..." option to open the "YouTube Video Browser" window, and use the filter buttons at the bottom to browse the YouTube videos. 1. Browse your videos according to different categories: Recent Videos, Most Viewed, Top Rated, Most Responded, Spotlight Videos, Top Favorite, Watch on Mobile, Most Discussed and Rising Videos. 2. Search for the videos you're interested in by typing the keywords into the "Search" textbox. 3. To watch the video, let the pointer hover on the video thumbnail and click the "Play" icon that appears, or select "Play" option from the right-click menu to open the web page and watch the YouTube video online. Click the down arrow at the left top of the video you want, or drag and drop the video into the main window, or right click the video thumbnail and select "Download Video" option from the right-click menu to create a new task, then click "Start" button on the toolbar to start the task. Click "New Convert" button on the toolbar, then choose FLV files you want and click "Open" button to close the dialog and return to the main window. Click "Converting" tab to check your FLV files. Click the "ImTOO YouTube to iPod Converter > Preferences > Settings > Proxy" tab, choose the proxy server type, enter the address and port of the proxy server, and if necessary, enter the user name and password, then click "OK" button to return to the main window and retry. 2. There're two modes to view the files in the file list: list and thumbnails. After the conversion, you can put those YouTube videos on your iPod (iPod touch, iPod nano, etc.) and iPhone with iTunes directly.